Soundtrack and short story set! Original TOKYO NECRO soundtrack collection, bundled together with original story pamphlet by Shimokura Bio! Includes sleeve that neatly stores both items. Story illustrations were drawn by Osaki Shinya (Unknown Games)! 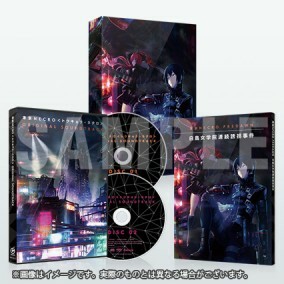 ・Comic Market exclusive bonus, "Drama CD (Kusatsu NECRO)," not included.